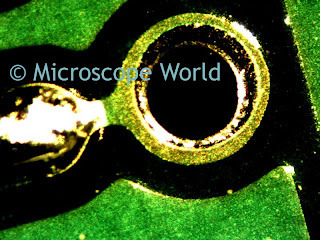 Stereo microscopes are often used to view printed circuit boards. 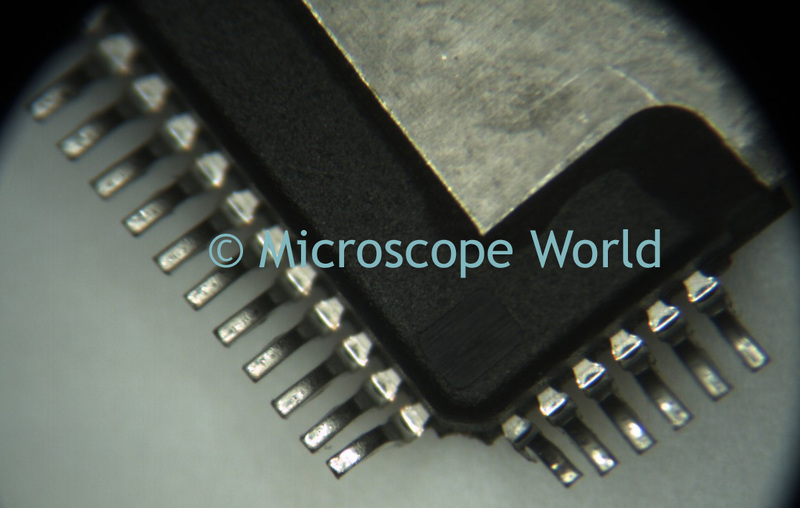 A typical setup uses a stereo zoom microscope and either an LED ring light or a 150w halogen dual pipe light. Transmitted light is not needed. A large base stand or a boom stand is used to provide working room under the microscope. A connection point on a printed circuit board, captured at 70x magnification. 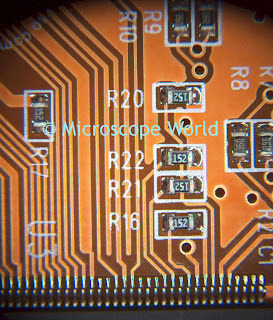 Printed circuit board captured with the Jenoptik PRC14+ microscope camera. 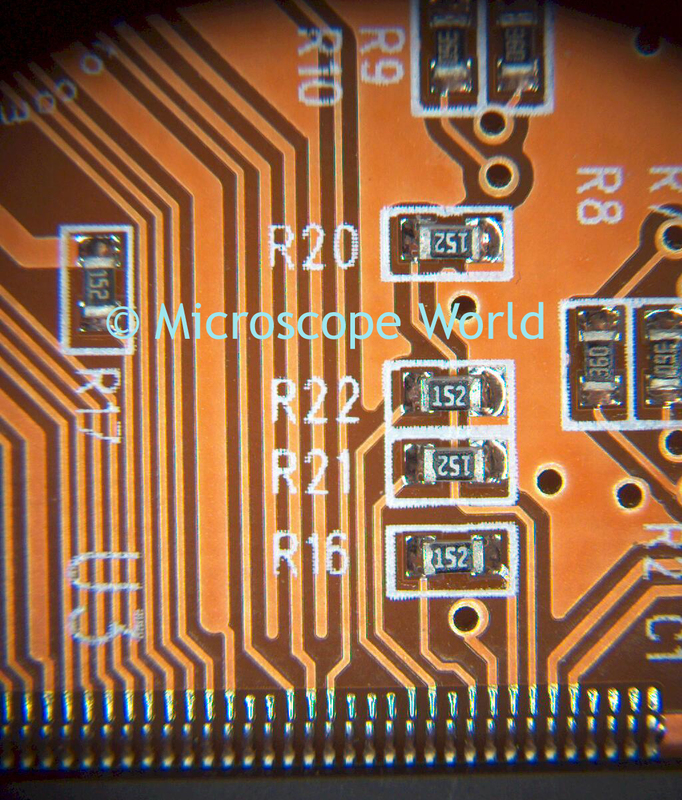 If you need to view printed circuit boards under the microscope, please give Microscope World a call, or email us and we would be happy to help you determine which stereo microscope works best for your needs.